In August 2008 we revealed a char­ac­ter list of sup­posed vil­lains and allies that might appear in the movie (fol­low­ing a screen­play first draft read), just over a year later we’ve got some proof that it wasn’t far off. The movie will fea­ture mul­ti­ple vil­lains, a trend that hasn’t bode well in the past (take Spider-man 3 for instance). Com­bin­ing this with an ori­gins story (assum­ing that’s what we get) could prove too much. I’ll remain scep­ti­cal for now. 27–35, Char­ac­ter actor who is aus­tere and imper­sonal, he is real “scummy.” He is a pathol­o­gist and also the son of a Senator. Vil­lain and extra-terrestrial. 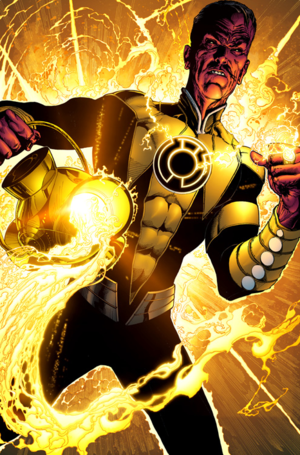 Sine­stro is the for­mer men­tor of Hal Jor­dan and the arch-nemesis of the entire Green Lantern Corps. Mid-30s to Mid-40s, he is smart, tough, intim­i­dat­ing and in great phys­i­cal shape. 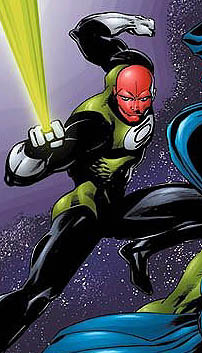 A mem­ber of the Green Lantern Corps, he recruited Hal Jor­dan as a Green Lantern. 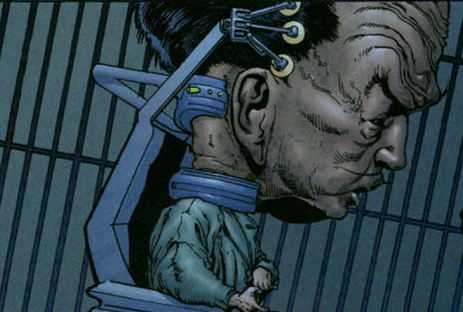 His role may not be huge, in the comics he presents the ring to Hal Jor­dan as he is dying. She is one of many supervil­lains who has used the name Star Sap­phire, and is a long-time love inter­est of Hal Jor­dan. The cast­ing descrip­tion doesn’t hint at a super alter-ego, so it’s not likely this sul­try vil­lain will appear, but in a sequel maybe? […] I’ve just spent the last hour or so on the phones, track­ing down a rumor I heard, and Hit­Fix can exclu­sively report that Bradley Cooper is now one of the guys most likely to don the suit and slip on the power ring as The Green Lantern for direc­tor Mar­tin Campbell. Let’s be clear: they have not hired him yet. But the process is far enough along that this is more than just a meet­ing or some spot on a wish list. Keep in mind that Camp­bell likes to see a lot of peo­ple when he’s cast­ing… and even when he’s screen-testing, he seems will­ing to explore as many options as pos­si­ble… but with the film set to shoot later this sum­mer, they’ve got to start mak­ing their choices, and now’s the time to put peo­ple in front of the cam­era and see who really works in the suit. We pre­vi­ously reported that Ryan Gosling could be inline to play The Green Lantern, since then the ante on the movie has upped — with the WB plac­ing all its chips in the green bas­ket, given the hes­i­ta­tion and fail­ings of the Super­man and Jus­tice League fran­chises — sug­gest­ing that the Green Lantern role might need re-evaluating. The IESB are now report­ing a short list of pos­si­ble actors to play the main role, head­ing the list is Star Trek star (Cap­tain Kirk), Chris Pine. Jon Hamm, Sam Wor­thing­ton and Nathan Fil­lion have also been men­tioned. The WB are look­ing for ‘a man’s man under 30′. We’ll clas­sify this one as rumor for now, espe­cially as Pine’s agent has declined to com­ment, how­ever with film­ing set to begin in Sep­tem­ber it shouldn’t be too long before we see an offi­cial announcement. Mar­tin Camp­bell, direc­tor of Casino Royale, Gold­en­Eye and Ver­ti­cal Limit is in talks to direct the Green Lantern movie adap­ta­tion, report Vari­ety. With WB’s big Super­man and Jus­tice League movie plans falling through it looks like Green Lantern is mov­ing to the top of the hit list; bring­ing with it Mar­tin Campbell’s tal­ent and expe­ri­ence and a renewed desire to make this much more than another super­hero fran­chise, espe­cially given the recent and phe­nom­e­nal suc­cess of that dark and emo­tional Bat­man movie. Greg Berlanti was orig­i­nally inline to direct, he has since been attached to the movie, “This is where I leave you”, yet remains a strong influ­ence as one of the three writ­ers that penned the screen­play (the oth­ers being Marc Guggen­heim and Michael Green). The Syd­ney Morn­ing Her­ald are cur­rently report­ing that New South Wales and Vic­to­ria are in a bid­ding bat­tle to attract the busi­ness of The Green Lantern movie production. The film­mak­ers have been scout­ing loca­tions and inter­view­ing key crew in Syd­ney for a movie with an esti­mated bud­get of more than $150 mil­lion. Cen­tring on a test pilot who uses a magic ring to become a crime-fighting superhero. Latino review reported that accord­ing to their trusted source at WB, Oscar nom­i­nee Ryan Gosling will be wear­ing the ring in the movie. These are yet to be con­firmed but my be on the table. All is gear­ing up to start shoot­ing in the spring so watch this space. CHUD have been speak­ing with pro­ducer, Don­ald De Line on the set of “Observe and Report”. 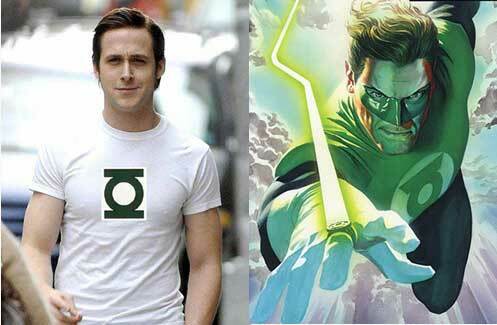 De Line is involved with the Green Lantern movie adap­ta­tion and has spo­ken to address some recent inter­net rumors. Jack Black is no longer attached to the fea­ture and the adap­ta­tion shall not be pro­duced as a com­edy — I can hear fans breath­ing a sigh of relief! Cur­rent sta­tus leaves them wait­ing for a first draft from direc­tor Greg Berlanti, which should be arriv­ing soon.